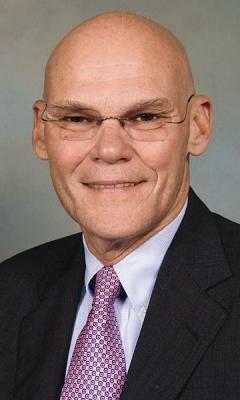 James Carville will be the speaker for the Farmers Bank & Trust Distinguished Speaker Series at 7 p.m., September 9, in the Grand Hall of Southern Arkansas University. Tickets are $100 for the dinner and lecture, and $200 to attend a private reception with Carville from 6 to 6:30 p.m. at Farmers Bank & Trust before the lecture event. Proceeds from the reception and the lecture benefit the SAU Foundation. For ticket information, call the SAU Foundation at (870) 235-4078 or toll free at (877) 235-7409.